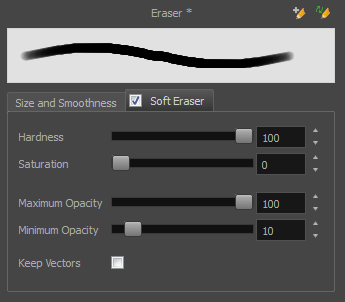 In the Tool Properties view, you can modify the Eraser tool parameters such as the size and smoothing. NOTE: To learn more about each individual parameter, see Eraser Tool Properties. 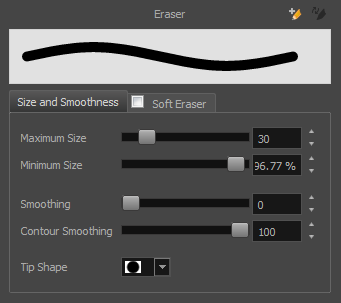 In the Tools toolbar, select the Eraser tool.